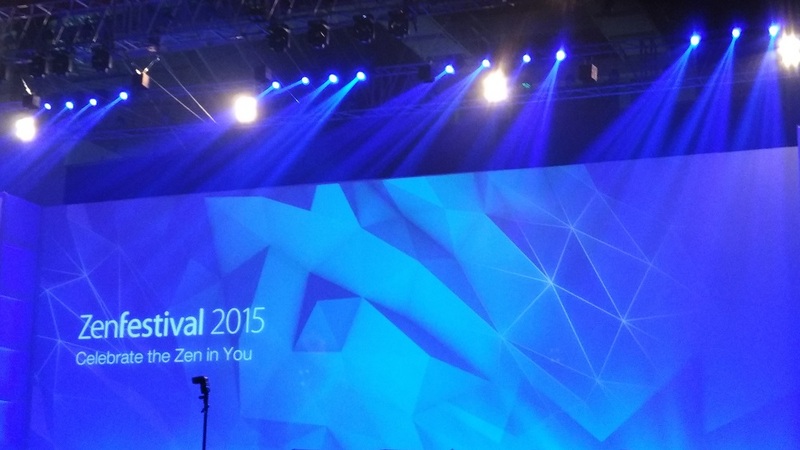 Yesterday Asus have celebrated their Zenfestival in Delhi-India. We are also invited by Asus to be a part of this. 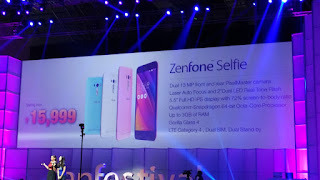 ASUS Chairman Jonney Shih today announced the pricing and availability of ZenFone 2 Deluxe, ZenFone 2 Laser, ZenFone Selfie, ASUS ZenPad 7.0 and ASUS ZenPad 8.0 for users in India, at an exclusive ZenFestival event held at the Jawaharlal Nehru Stadium in New Delhi, India. The event opened with an exhilarating performance featuring flying drummers, after which Mr. Shih took the stage along with ASUS Design Center Director, Jen Chuang, to make the announcements. Asus has introduced 3 family member to their ZenFone family viz. ZenFone 2 Laser models all benefit from a powerful 13MP PixelMaster camera with an f/2.0 wide-aperture lens to capture stunning, High-resolution photos with zero shutter lag augmented by laser auto-focus technology that empowers users to capture perfect clarity in just 0.3 seconds. Available in 5-inch (ZE500KL), 5.5-inch (ZE550KL) and 6.0-inch (ZE601KL) versions with up to 1920 x 1080-pixel Full HD resolution, ZenFone 2 Laser also incorporates the latest and toughest Corning Gorilla Glass 4. It boasts an up to 1.5GHz octa-core 64-bit Qualcomm Snapdragon 615 processor with adreno 306 GPU. It also provide RAM up to 3GB of fast memory for unwavering performance. 3Gb ram/ 16Gb - 13999. 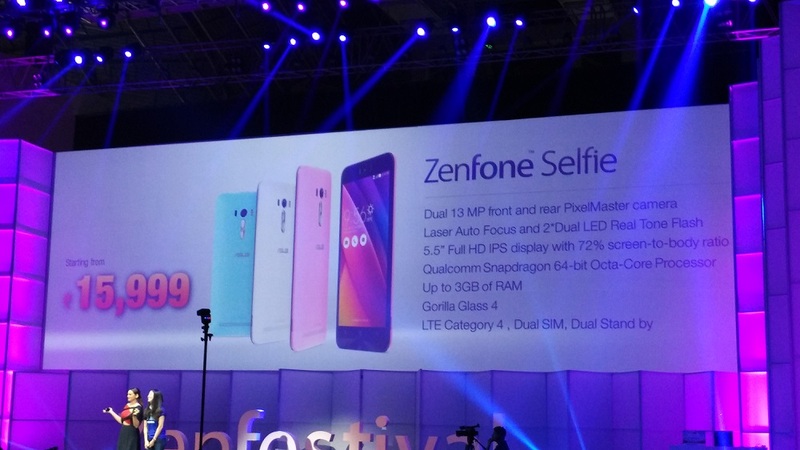 ZenFone Selfie also known as ZD551KL, Asus ZenFone comes with dual 13MP PixelMaster cameras, dual-color, dual-LED Real Tone flash both front and rear, plus laser auto-focus for ultra-fast shots with complete clarity. This smartphone introduce by Bollywood star hot beauty Sonakshi Sinha. It was lot of fun and enjoyment. ZenFone Selfie’s rear camera is just as advanced, with a large f/2.0 aperture lens for superior low-light shots. Both cameras are engineered with five-prism Largan lenses and top-quality Toshiba sensors, and include dual-LED Real Tone flash technology for perfect illumination in any lighting conditions. ZenFone Selfie also delivers superb macro photography that works on subjects as close as 6cm, plus rear laser auto-focus to compose shots in the blink of an eye. Zenfone selfie - 15999. The highlight of the new ZenFone Max also known as ZC550KL is its incredibly-long-lasting high-capacity 5000mAh lithium-polymer battery that gives users an unprecedented amount of mobile freedom. ZenFone Max has a bright and clear 5.5-inch IPS display with wide viewing angles, protected by the latest Corning Gorilla Glass 4 for unrivalled scratch-resistance, strength and everyday durability. 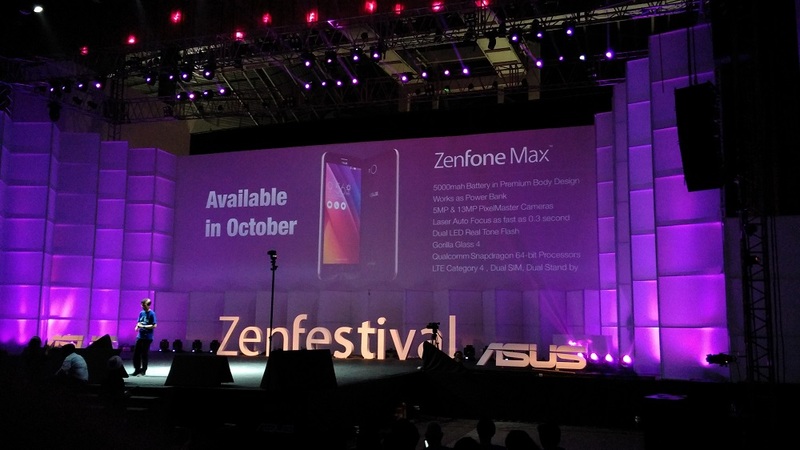 At the heart of ZenFone Max is a powerful yet power-efficient 64-bit Qualcomm Snapdragon 410 processor with up to 2GB of RAM. 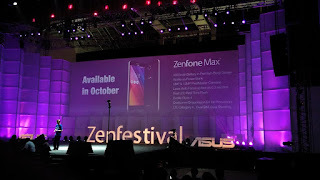 ZenFone Max features a 13MP/5MP PixelMaster cameras with a wide f/2.0 aperture, and the rear camera also boasts laser auto-focus for sharp, near-instant shots. 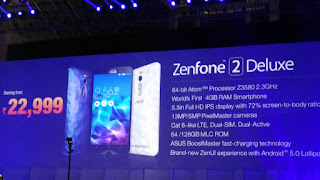 ASUS ZenFone 2 Deluxe, ZenFone Selfie, ZenFone 2 Laser will be available from August, 2015 in India for online purchase through Flipkart, ASUS Exclusive stores and authorized retailers. So here we are providing you guys and exclusive updates regarding ZenFestival. If you have any query do post in comment section below. Stay tuned fro latest updates. thanks fro reading.